A steady reading from March’s UK consumer price index saw the Pound Sterling to Australian Dollar (GBP/AUD) exchange rate come under fresh pressure on Wednesday morning. As forecasts had pointed towards the headline inflation rate accelerating from 1.9% to 2.0% on the year investors were disappointed by the data. With inflation still trending below the Bank of England’s (BoE) 2% target the case for any monetary tightening remains slim, limiting the upside potential of GBP exchange rates. Although this means that average weekly earnings likely extended their lead over inflation for another month this was not enough to shore up Pound Sterling (GBP). Reports that Brexit talks between the Labour leadership and Theresa May have stalled also gave investors incentive to sell out of the Pound. 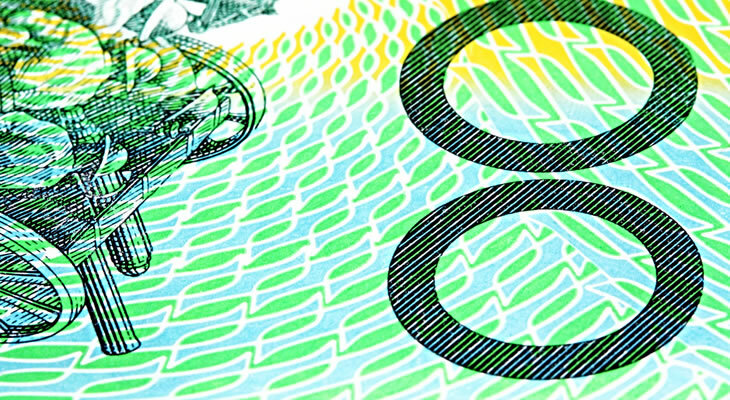 Demand for the Australian Dollar (AUD) picked up on the back of March’s Westpac leading index, which showed a modest strengthening on the month. With the Australian economy showing some signs of resilience this encouraged AUD exchange rates to return to a positive footing. The appeal of the risk-sensitive Australian Dollar improved further as the first quarter Chinese gross domestic product bettered forecasts, clocking in at 6.4% rather than 6.3%. Although markets reacted to the data with some scepticism, with the improvement largely driven by recent stimulus measures rather than a structural strengthening, this did not stop AUD exchange rates from climbing higher. Evidence that Chinese demand could recover further in the months ahead buoyed confidence in the outlook of Australian trade, even in the face of ongoing US trade spats. A sharp uptick in Chinese industrial production also put pressure on the GBP/AUD exchange rate at this juncture. The Pound could find a fresh rallying point on Thursday, however, if March’s UK retail sales data strengthens as forecast. Markets anticipate another solid month of consumer spending to round out the first quarter, with sales expected to rise 4% on the year. As long as UK consumers continue to shrug off any sense of anxiety over Brexit confidence in the health of the retail sector, and the wider economy by extension, could improve. On the other hand, if sales show signs of slowing ahead of the UK’s original departure date from the EU this could weigh heavily on GBP exchange rates. Given the recent improvement in wage growth any signs that consumers are taking a more cautious approach may leave the Pound on the back foot. The GBP/AUD exchange rate also looks vulnerable if the government fails to make any fresh signs of progress on Brexit, with markets still concerned by the prospect of another six months of uncertainty.